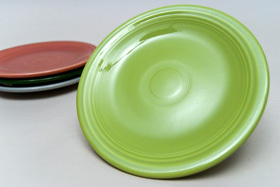 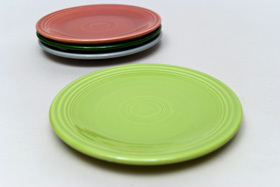 Circa 1951-1959: The 6" Fiesta plate has become known as "the bread & butter" plate. 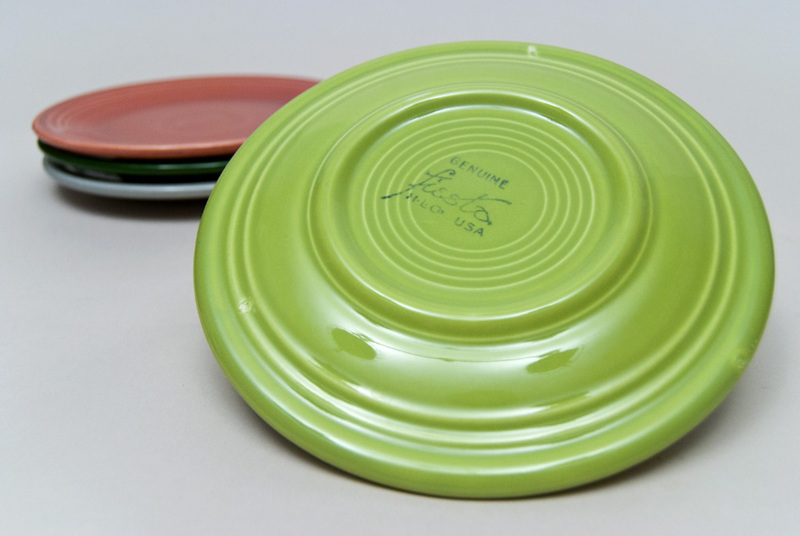 It measures 6 5/16" w x 5/8" h. Fiesta plates are the backbone of the pottery line and they were produced in four different sizes for the entire length of the vintage line. 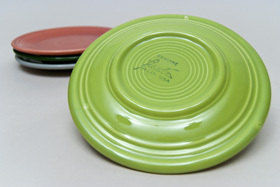 Vintage Fiesta plates had their bands of concentric rings shaped by the metal tool blade of a jiggering machine as either the mold or the blade rotates. Flatware is usually marked with a rubber stamp inked with glaze itself, many plates however will be found unmarked and this should be of no concern. 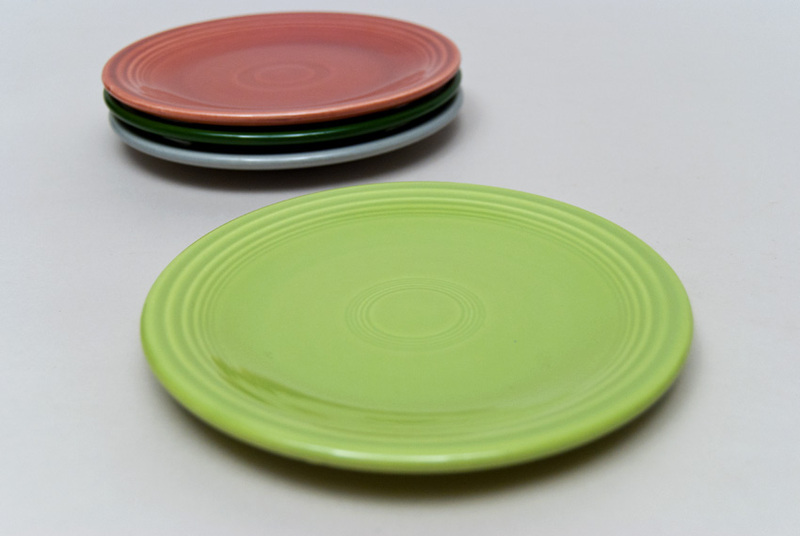 The plates were fully glazed and set on 3 stilts in the kiln, resulting in the 3 marks found on the back of all vintage plates. 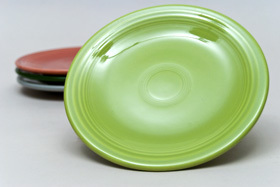 This example is in excellent condition without damage and very little, to no use.